Place the sugar, water and lemon zest in a small saucepan and heat over a moderate heat until the sugar has dissolved. Bring to the boil then remove from the heat and add the basil and lemon juice. Allow to cool and then strain and put the liquid in the fridge until needed. 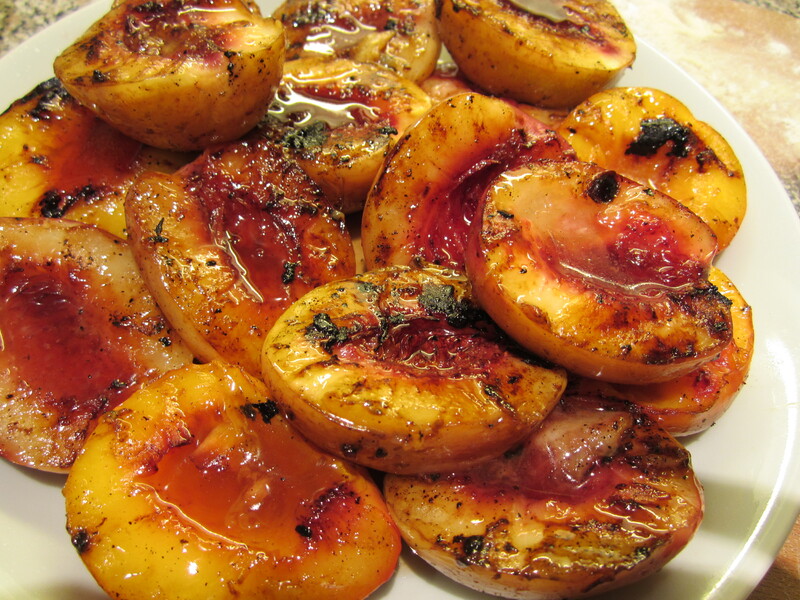 Halve and destone the nectarines, cook on a moderate barbecue until charred and soft. Pour the syrup over and serve (with yoghurt, sour cream or cream if liked).